The Hennessey Venom GT is a supercar based on the Lotus Exige manufactured by Texas-based Hennessey Performance Engineering and assembled in England. When Volkswagen purchased the Bugatti brand, it had one goal: build the fastest production car in the world. The original Veyron achieved that goal, and with a price tag of $1.7 million and a quad-turbocharged W16 engine producing 1,000 hp, it also boasted the most superlatives of any production car. Yet the Veyron was soon dethroned by the SSC Ultimate Aero, so Bugatti came back with the Veyron Super Sport. This Veyron-plus has 1,200 hp, and numerous aerodynamic changes meant to help gain a few extra miles per hour. So that is little about the fastest car in the world. Where can you go that fast? Take it to the track and have fun but I don’t think you would drive that fast on the freeway. 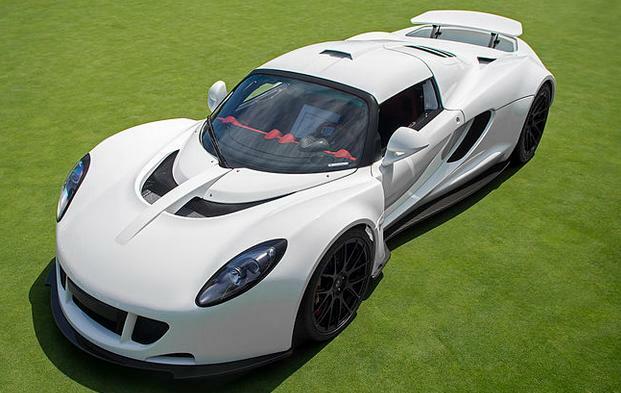 I don’t think I need to have the Worlds Fastest Car but some people do and I guess that is why they sell it.